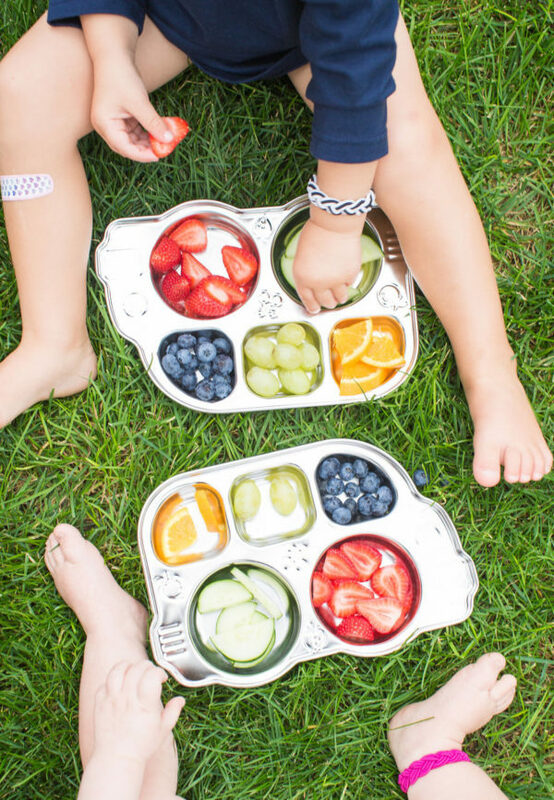 The five compartments make it easy to introduce new foods, teach about the five food groups, and keep foods from touching each other. 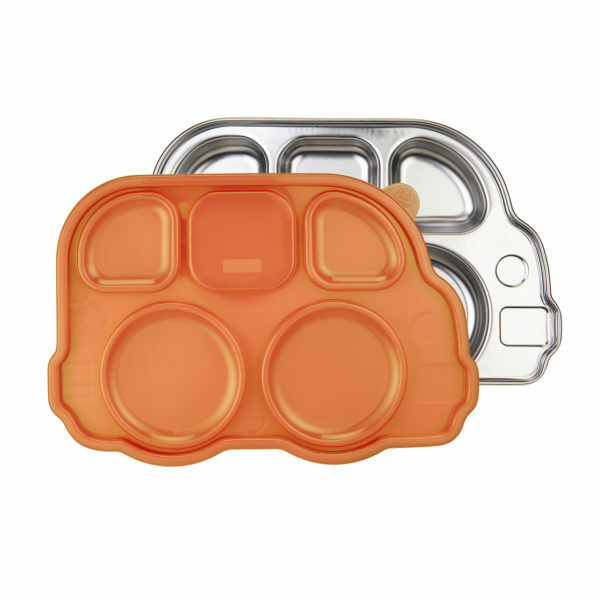 The Stainless Divided Platter can make dinner a lot easier and a lot more fun! The five compartments make it easy to introduce new foods, teach about the five food groups, and keep foods from touching each other. You can even use small compartments for dipping sauces! 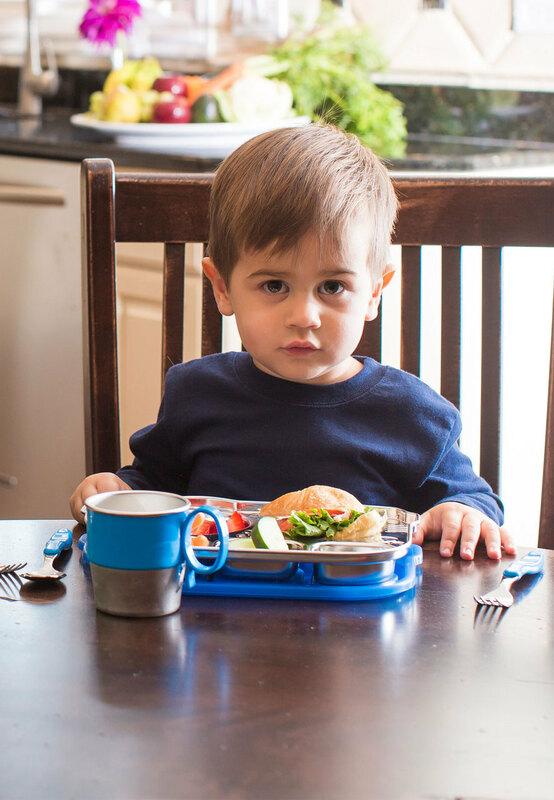 This adorable bus shaped plate’s lid is sectional, which means you can now take your little one’s snack, lunch, or dinner with you on the go! 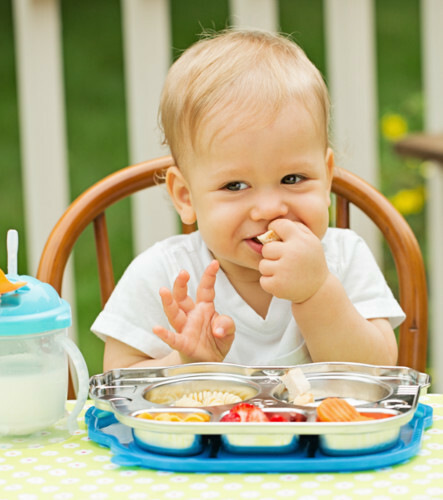 Foods will stay separate and give even the pickiest eaters an option for when you can’t be at home. You can also food-prep and stack these trays in the fridge, car, or picnic basket. Our divided plates are sure to last you for years to come. They’re made from high quality, food grade stainless steel that won’t harbor stains or orders, won’t rust or crack, and is easy to clean.